Tanita- known worldwide for it's quality, reliability and accuracy. 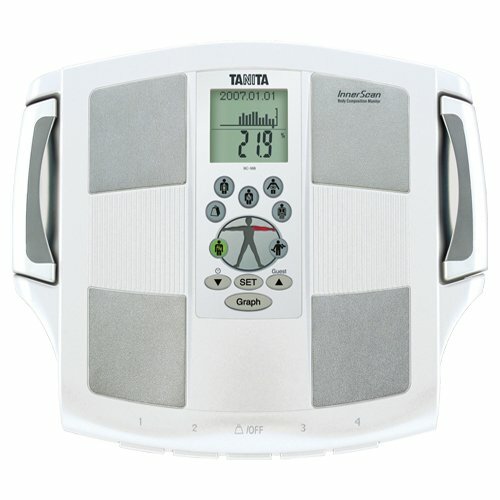 From the leaders in body composition comes a whole new level in measuring your Competitive Edge- Tanita's BC-568 Segmental Body Composition Monitor. Why segmental? Simply put, segmental gives you more information than standard body composition monitors. This totally unique product gives individual body composition readings for each body segment- trunk, right arm, left arm, right leg and left leg. The BC-568 is especially useful for anyone who is monitoring the balance of left and right side of body or trying to build or rehabilitate a particular part of one's body. The BC-568 uses innovative retractable handgrip electrodes, along with standard feet electrodes. These eight bioelectrical impedance analysis (BIA) electrodes allow the BC-568 to go well beyond standard body composition; giving you a segmental review of what you are made of. In seconds, this at-home health monitor can display a complete body composition profile, including weight, body fat % (total and segmental), body water %, muscle mass (total and segmental), bone mass, DCI, visceral fat, metabolic age and physique rating. Technology found in the BC-568 is based on the advanced technology found in Tanita's professional line of segmental body composition analyzers. If you have any questions about this product by Tanita Innerscan, contact us by completing and submitting the form below. If you are looking for a specif part number, please include it with your message.